The story begins with the goo eating a time machine, causing him to be sent back in time. 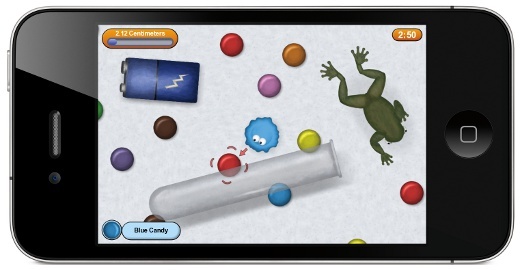 Playing as the goo, you'll eat your way through six different time periods: modern, Late Cretaceous (i.e. dinosaurs), Ancient Egypt, Ancient Rome, Feudal Japan, and the distant future. 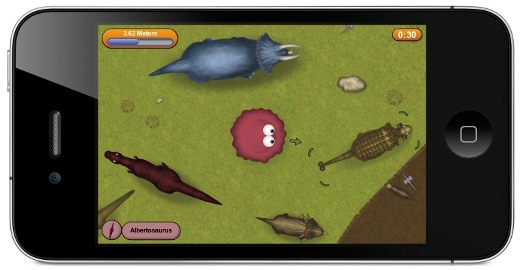 Munch your way through Triceratops and Tyrannosaurus Rex on your iPhone or iPad. 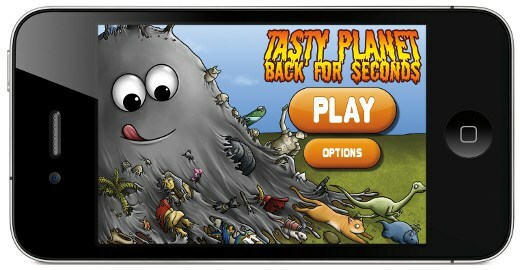 In Tasty Planet: Back for Seconds, you'll be growing from the tiniest to the largest things in the universe. In one level you'll start off by eating an ant and end up eating a dinosaur. In another level you'll grow all the way from the size of an amoeba to the size of a galaxy. Just how big can you get? 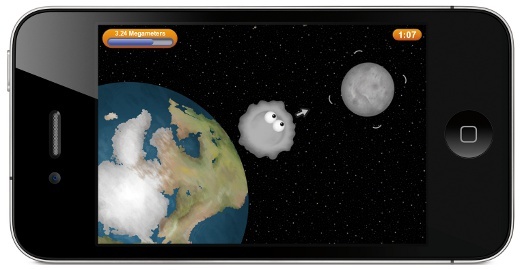 Get Tasty Planet: Back for Seconds on iPhone or iPad to find out! Tasty Planet: Back for Seconds is the sequel to Tasty Planet. So if you liked that game, you'll love this one! 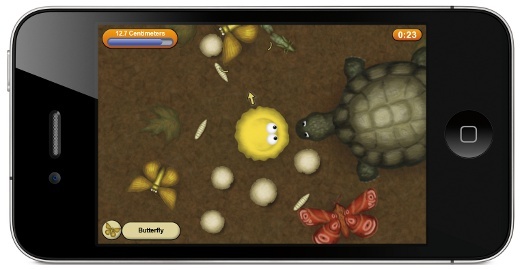 Get Tasty Planet: Back for Seconds on iPhone or iPad.